The park boasts 16 spectacular terraced lakes, 90 cascading waterfalls and an endless boardwalk for you to wander and explore at your leisure. Plitvice Lakes National Park welcomes 1.2 million visitors every year, with 15,000 tourists visiting per a day during high season. 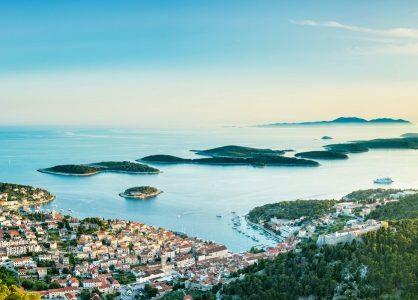 Get in touch with our Croatia travel experts today. 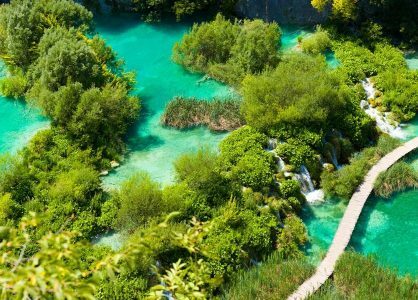 We can help you organise an unforgettable visit to Plitvice Lakes National Park as part of a Croatia multi centre holiday. 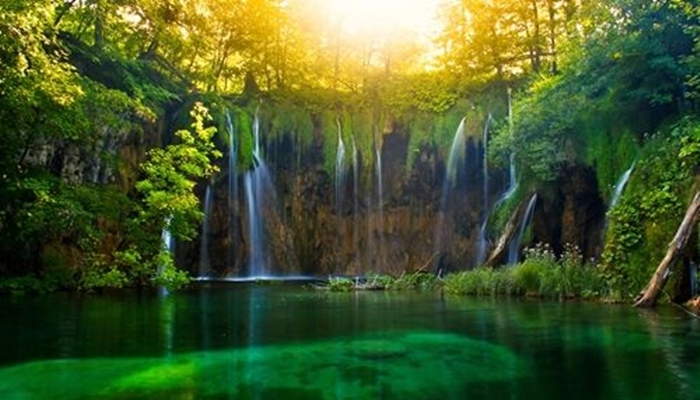 Plitvice Lakes has been a major tourist attraction in Croatia since the late 19th century. 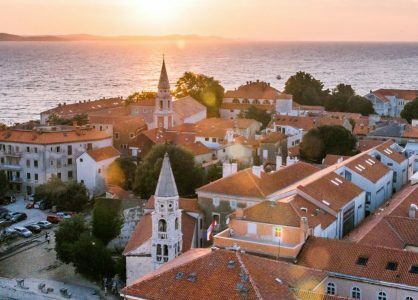 It was officially established in 1949, and today it is a UNESCO world heritage site. During the 1991 civil war, the park’s headquarters became ground zero for the rebel Serbs. There was no tourism for four years after the war, which enabled the flora and fauna to recover and flourish. A remembrance ceremony for the fallen is held in the park every year. 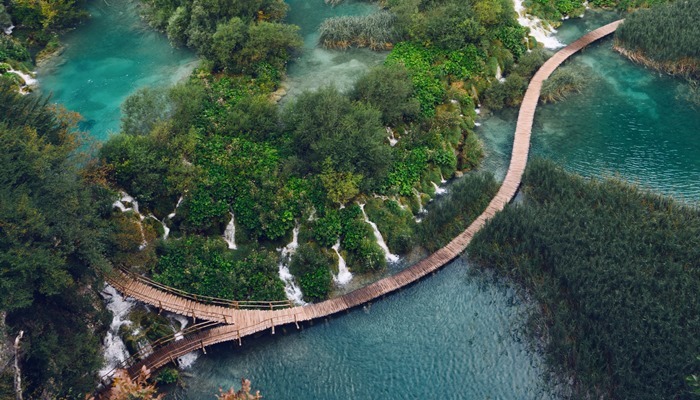 To fully enjoy everything that Plitvice Lakes National Park has to offer it’s best to visit in the spring or autumn, so that you miss the crowds during the summer high season. In the middle of the day, the narrow boardwalks can become congested with tourists trying to pass each other in a different direction. Peak congestion times are between 10am and 3pm, so try to take your leisurely stroll around the park in the morning or the late afternoon. Boardwalk congestion can mean that you experience a hold up on your scenic exploration as the entire line of visitors suddenly stops behind someone who is intent on posing for a selfie. Nature lovers can easily spend a couple of days wandering through the landscapes and marveling at the natural wonders. 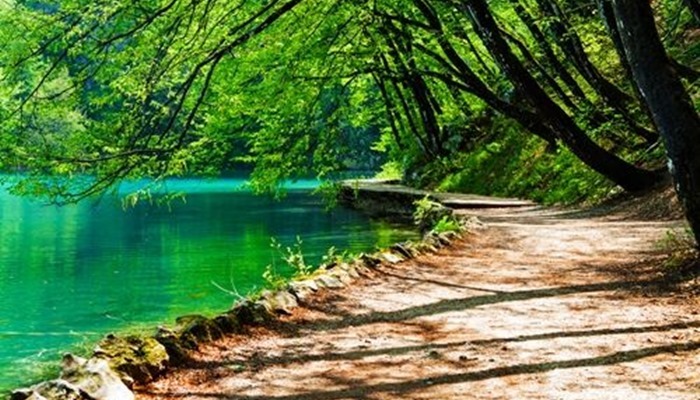 Although 90 minutes in the park is plenty of time to enjoy many of the attractions, allow at least three or four hours if you really want to experience a real adventure in the 300 sq kilometres of Plitvice Lakes National Park. Head for the big waterfall, Veliki Slap. The impressive waterfall is 78 metres high and has a viewpoint over the canyon. The nearby Sastavcj waterfall boasts a 25 metres drop down the Korana River. The cool Barac and Šupljara caves are the perfect shelters in which to enjoy some shade on a hot sunny day in the park. There is also a shuttle boat to take you across the park’s biggest body of water, Lake Kozjak. If you’re feeling active, there are eight hiking trails of varying lengths to explore at your leisure. The most popular trail takes you on a tour of a good selection of the park and requires about four hours to complete. Other trails loop around or explore the lower or upper lakes. The stunning colour of the Plitvice Lakes is due to the natural mineral composition. The crystal clear azure, turquoise and aquamarine waters are home to many extremely fat fish. However enticing the water may be, swimming is prohibited. 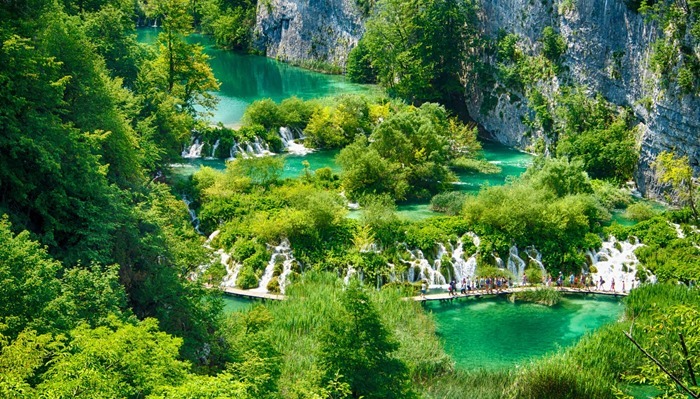 If you are staying in Zagreb or Split we can help you organise a one or two day tour to Plitvice Lakes National Park as part of your Croatia twin or multi centre holiday.